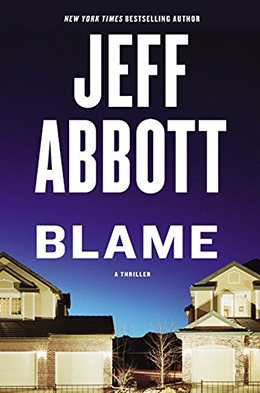 Not only is Jeff Abbott’s Blame the most additive thriller of the summer, it also happens to be an astute study of the corrosive nature of blame and the destructive power of its sibling emotion, guilt. Blame is perfect for fans of domestic suspense. It tells the story of Jane Norton, who (two years ago) was the driver in a fatal car crash that killed her friend, David Hall. As a result of that accident, Jane suffers from amnesia and has no memory of that evening – or the three years prior. Media coverage at the time turned Jane into a pariah in the small community of Lakehaven. It seems that a suicide note she wrote was found at the crash site and everyone blames Jane for David’s death. So much so that she is unable to live in her childhood home because David’s parents still live next door. Jane can’t concentrate on her studies and has dropped out of school. Her old friends – even the few she can remember – have turned on her. Jeff Abbott successfully brings this tight-knit community to life. Readers will find their loyalty shifting with each new revelation. With domestic suspense, pacing is so important and Abbott really hits the sweet spot here. It is still rare for male writers to tread into the arena of domestic suspense, but with Blame and books like A Line of Blood by Ben McPherson and Harlan Coben’s Fool Me Once, it is clear that the male graze does add a different dimension to this sub-genre. By including a social media site – one that he calls Faceplace – in the novel, Jeff Abbott also allows for a bit of satirization of modern society. Like the best satire, this is deeply rooted in reality and both the good and harmful properties of social media – and other forms of media – are explored without bias, over the course of Blame’s shifting plotline. As the plot becomes more complex, the reader’s ability to set Blame aside diminishes. This book belongs on that short list of novels that demand to be read in one sitting. When your boss asks why you are late for work, blame Jeff Abbott – because he is no doubt culpable of keeping you up all night with this winning thriller. Blame has a plot focused on memory and forgetting, but this is a novel that will live on in reader’s minds for a very long time to come. Pre-Order Links: Murder by the Book, Amazon, Barnes and Noble, Book Depository, SHOTS ezine, Publisher’s Page or any of your favorite book retailers. 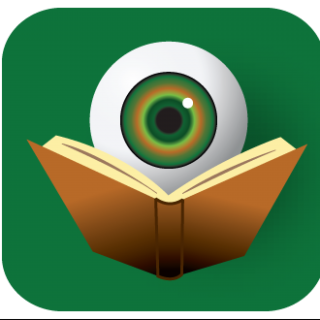 This is the first time that BOLO Books has posted a review on a Monday, but there are always reasons to break with tradition. In this case, one of our crime fiction family is in need and we are all trying to pull together to help in what little ways we can. Over the weekend, Jeff Abbott lost his house to a fire caused by a lightning strike. Thankfully, Jeff and his family were able to escape safely – but the devastation is unthinkable. I ask that you consider pre-ordering Blame as a small way of helping the Abbott family. This will not magically make the pain and loss go away, but it will help to ensure that a fabulous book gets the attention it deserves without the heavy author promotion necessary to make such things happen. Jeff’s time at the moment is better spent taking care of his family and himself. Thank you for considering this request. I just know that you will be satisfied with this novel and that you will feel better for having helped one of our own.